Liquid Aluminum Refining System is a degassing and purification treatment equipment which cleans metal by removing physical (hydrogen gas inclusions), chemicals (alkali metals) & metallurgical (alkali salts & sludge inter-metallic) impurities. The LARS? system operation is based on the proven principle of high-energy diffusion and chemically driven mass transfer. Although systems utilizing rotating gas sparging device have been available in the industry for years, only LARS? offers patented gas preheating and other sophisticated features for optimal molten aluminum refining. 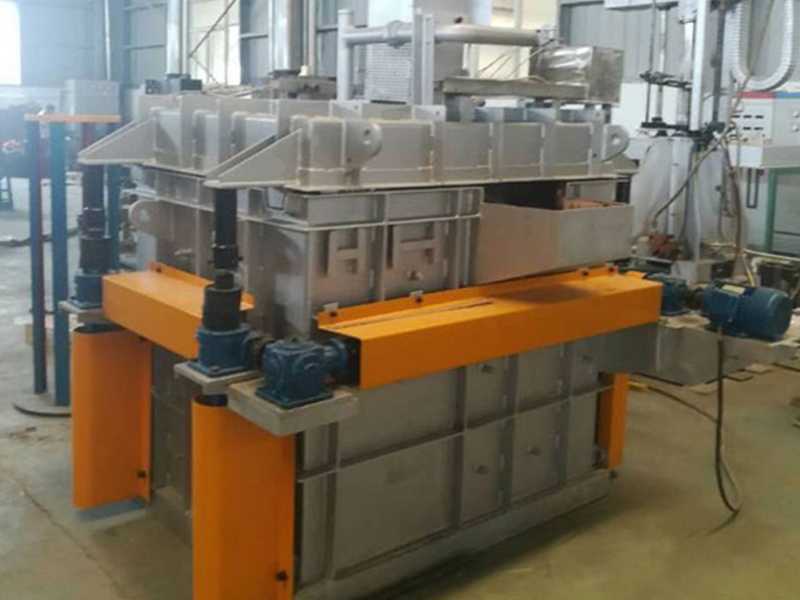 In adtech, this machine is called as Degassing Bowl,Degassing Box,Degassing Unit Machine or Molten Aluminum Refining And Degassing Equipment. Keywrods=Molten Aluminum Refining And Degassing Equipment,Aluminium Purification Return Degassing Device,Degassing And Purification Treatment Equipment,Molten Aluminium Degassing System,3 Rotors In-Line Molten Aluminium Degasser. In-situ process gas preheating gives superior degassing and inclusion capture. Gas preheating is achieved by making the gas flow through the passageway formed by the helical groove (which is machined on the outer diameter of the graphite shaft) and the inner wall of the graphite cylinder. The gas then captures heat from the graphite cylinder, which is immersed in the molten aluminum. Accordingly, the gas flow path is extended 30 times its original straight flow path length. Preheating of gas help retain fine bubble size by preventing the undesirable growth in the bubble after the gas comes into contact with the molten aluminum.